Since Gothams fall, the Joker has been relatively quiet...but thats about to change as former Arkham Asylum doctor, Harleen Quinzel, joins the Clown Prince of Crime to put him back on top. 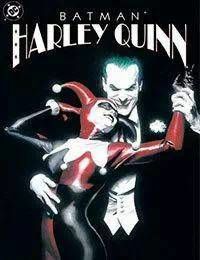 But when their unusual partnership leaves Harley a little worse for wear, she enlists Poison Ivys help. Now the Joker and Batman are going to learn that this souped-up Harleys not going to be pushed around anymore.